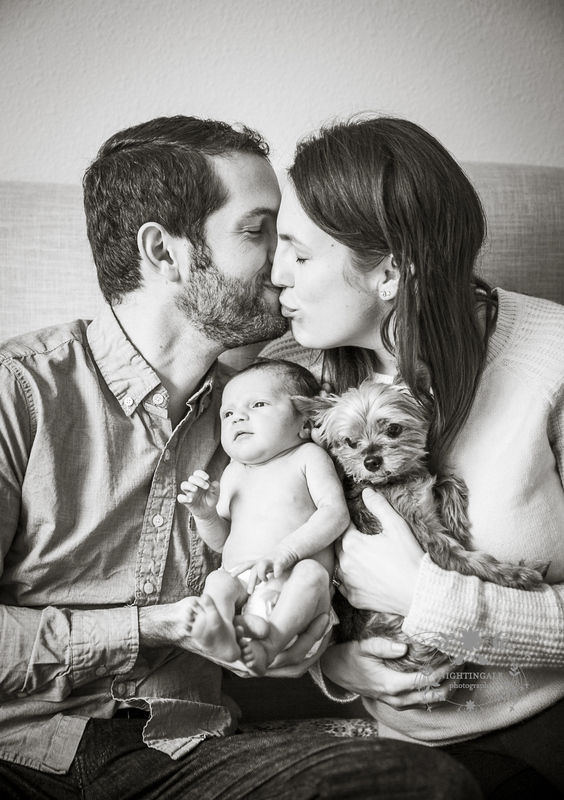 San Francisco Newborn Photographer | Welcome to the world, Baby Julia!!!! This session was made even more special because I had the privilege to photograph her parents’ beautiful wedding, as well. What a treat to follow a couple’s love story this far. 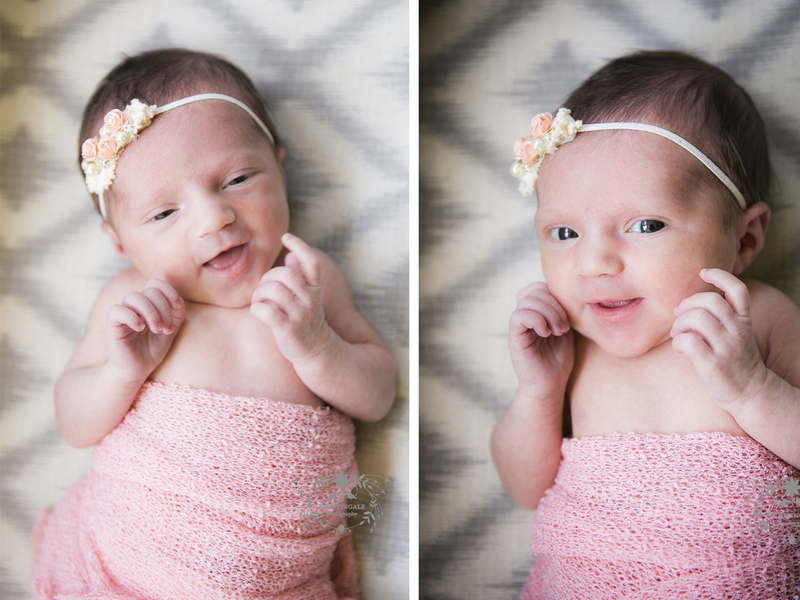 When I made these photos, it was Julia’s actual due date. She came a bit early but was awake and ready for her professional portrait session. 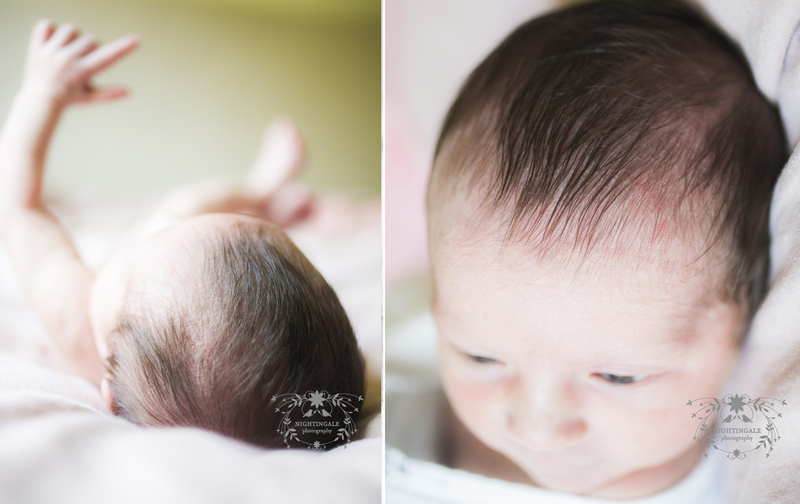 I love working with families at home for the newborn session. 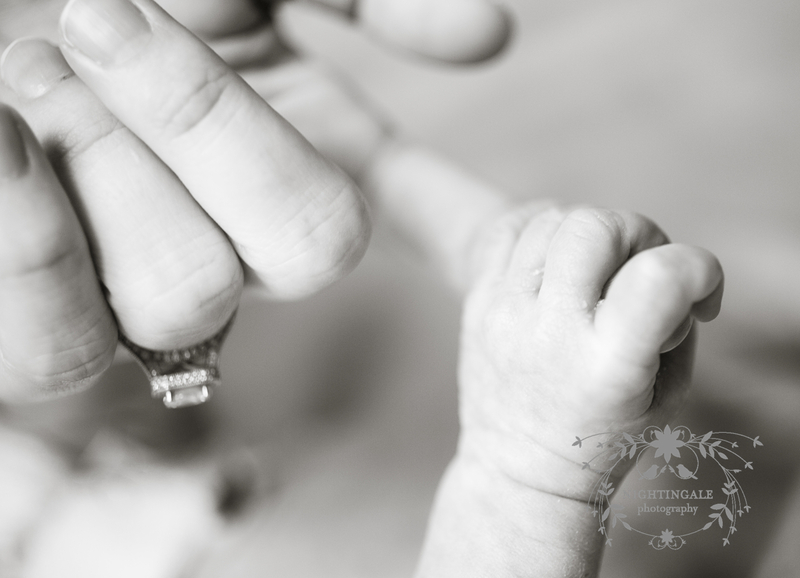 There are many feedings and diaper changes, so I want the experience to be as stress-free as possible. 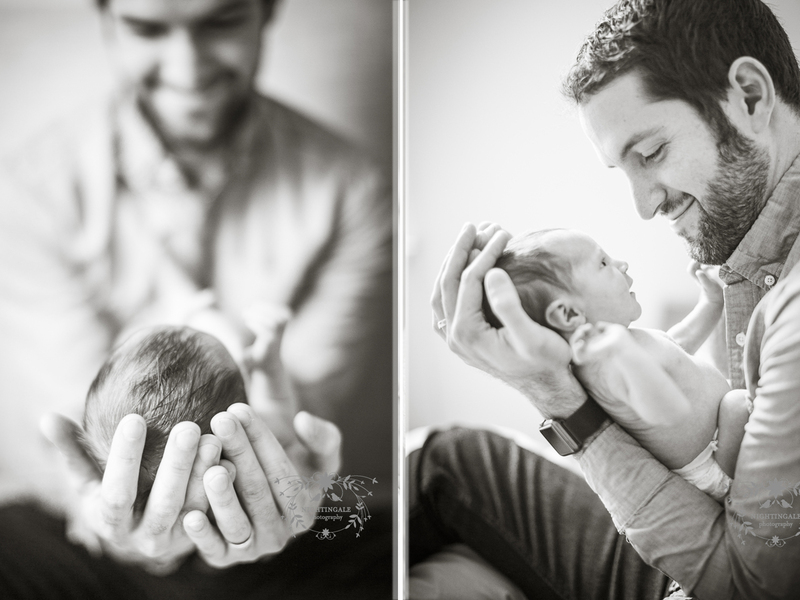 I love using the master bedroom for photos, where the family can cuddle-up and snuggle with their newest addition. 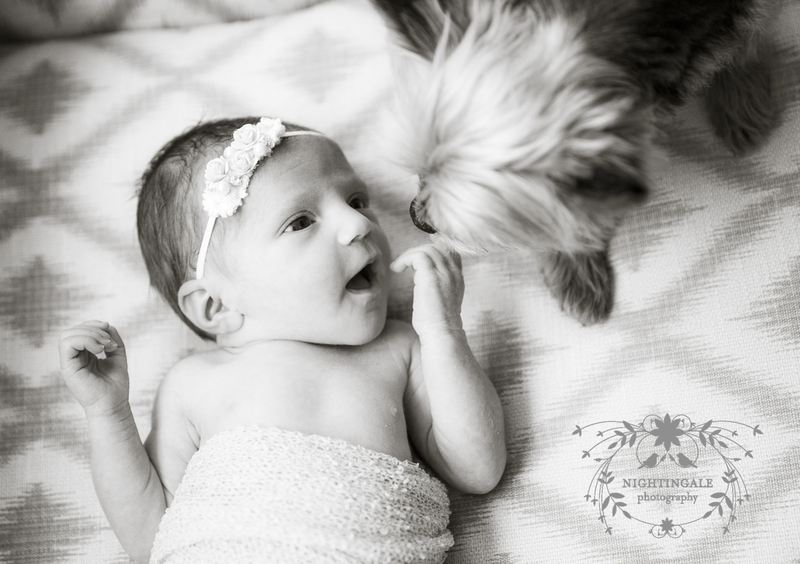 Of course, the family dog, Wiki, who was at their wedding, welcomed Baby Julia with kisses and nuzzles. 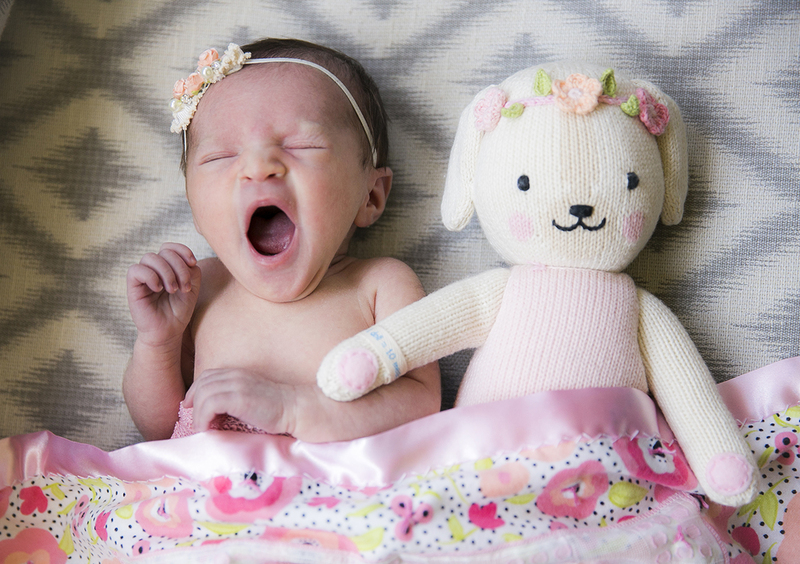 It was also fun to incorporate a darling, handmade blanket made by her adoring Grandma. Julia, I can’t wait to return for your sitting photos in about six months! Thank you again for allowing me to capture these memories for you. Julia, you are a beauty!